Following commitments to source more British and regional products at Co-op stores, the retailer’s agricultural manager Ciara Gorst spoke to Alex Black about how they helping time-pressed consumers make ethical choices. Shoppers ‘do not have the time’ to spend studying packaging at convenience stores and retailers have a responsibility to be honest to them about what they are buying, according to Co-op agriculture manager Ciara Gorst. 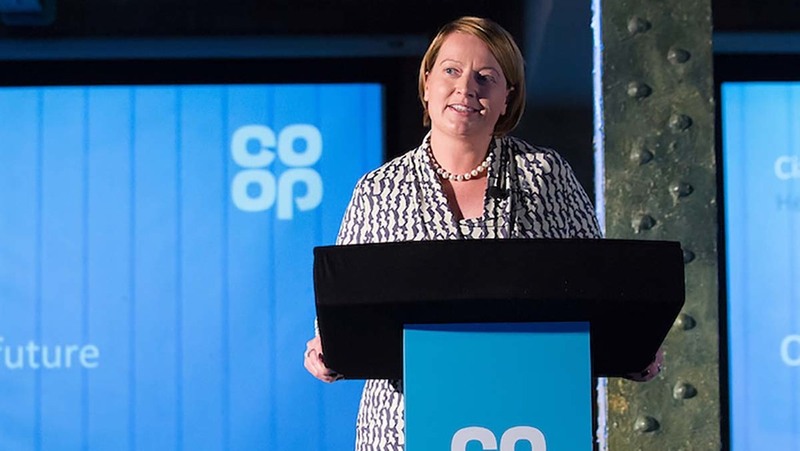 Speaking at Co-op’s annual farming conference in Manchester, she said consumers expected they were buying ethical products from the Co-op and needed to be able to trust them. She said this was the driving force behind their commitments to stock 100 per cent British meat and extend seasons for British fruit and vegetables. “We have a key point of difference, right back to our roots of the Rochdale pioneers and that is about a cooperative. There has to be a benefit to everyone in that supply chain to constantly listen to what our customers want,” she said. She added customers wanted ethical sourcing and high animal welfare, as well as great taste. “We are a convenience retailer and we want to offer that quickly and in a convenient way. She said the reaction to the meat pledge had been ‘tremendous’. “What [customers] want is local provenance, they want to know where their food comes from,” she said. While many people had questioned whether the commitments were simply a reaction to Brexit, Mrs Gorst said the ‘journey’ had started well before the vote when they set up their dairy group in 2011. Mrs Gorst added the retailer would be continuing increasing its support of British food as it announced the launch of a salmon farming group and it would be looking into which other areas it could support in the future. Charlotte Cleaver, technical manager at Co-op supplier Minor Weir and Willis, said longer term contracts from the retailer had given their business and their suppliers more security which has given them the freedom to make longer term decisions. "The security enables us to advance in key areas. We can have long term agreements with key local farms," he said. "We have been able to set land aside for the longer term, as can take a longer term view on pay back."